Baltimore: where you can admire lovely art, mingle with the locals and explore so much more. 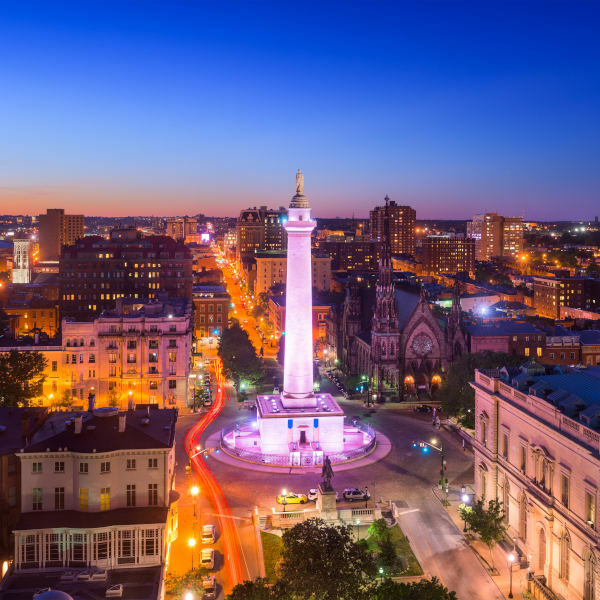 The capital of the state of Maryland, Baltimore is a great cultural and tourist destination. The city is home to more than 600,000 residents and features some long-standing African-American influences. Baltimore offers you fascinating history, vibrant neighbourhoods and a warm welcome. Top attractions include the Horseshoe Casino, Sagamore Spirit Distillery, and the Walters Art Museum. Are you ready for an American adventure? Because cheap flights to Baltimore are now available for a limited time! Baltimore is home to the Baltimore-Washington International Airport (BWI), which is a 15-minute drive from the city centre. BWI serves a multitude of airlines, including American Airlines, British Airways, and United Airlines. Popular connecting flights are available from Johannesburg and Cape Town. The flight duration from Johannesburg to Baltimore is approximately 20 hours and 26 minutes. There is a number of fascinating museums throughout Baltimore. There are industrial ones, like the Baltimore Museum of Industry and the B&O Railroad Museum, as well as ones containing beautiful art, such as The Walters Art Museum. Baltimore is steeped in alluring historic sites. 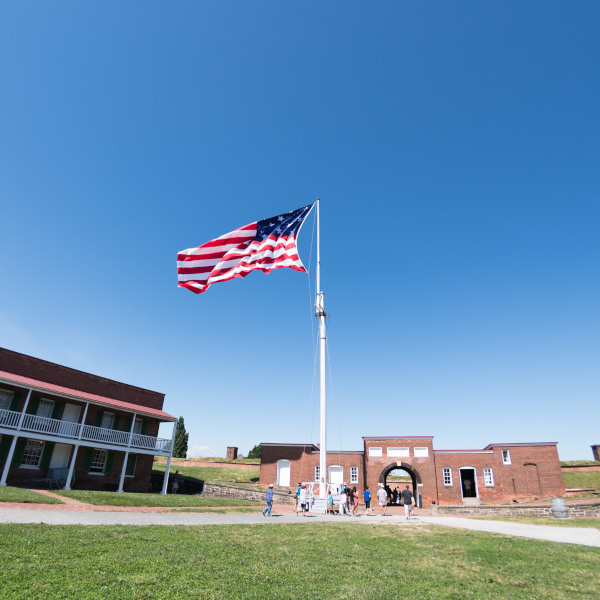 There’s the more-than-a-century-old Fort McHenry National Monument, the Historic Ships in Baltimore, Federal Hill Park, and Edgar Allan Poe’s grave site and memorial. Take a trip back in time! Make sure you have plenty of space on your phone or memory card to take lots of pictures. Some of the places you have to see with your own eyes include Graffiti Alley in the Stations North Arts and Entertainment District, as well as the Baltimore Love Project Murals. Baltimore’s climate leads to cold winters (December – January) and blazing hot summers (June – August). It rains throughout the year, especially from May to September. There are events taking place in Baltimore all year long. Plenty happen during the summer, making it the most popular time to visit and a great opportunity for you to experience the local culture. Make sure to book your flights and accommodation well in advance. Take note that hotel rates are at their highest between June and August. You can enjoy milder conditions and more hotel availability from March to May, but book your accommodation in advance for this period too, because the prime event season begins in late May. For affordability and fewer tourists, the best time to visit Baltimore is December to January, and make sure you’re dressed warmly when exploring the city. Baltimore is a working-class city on the USA’s East Coast and a great travel destination. That’s thanks to a large number of attractions and the warm, friendly welcome of the locals. There are plenty of places to explore around the city, including the scenic waterfront, which is home to several parks, exciting attractions, as well as places to dine out and shop. Close by the waterfront is Inner Harbor, another beautiful place in Baltimore. A little inland will take you to the exciting neighbourhood of Fell’s Point, known for its trendy taverns and pubs (many with live music), seafood eateries, a number of small galleries, record stores, fashion boutiques and unique restaurants. On the other side of the lake/ bay is the ancient Fort McHenry National Monument and Historic Shrine. The victory achieved at this fort in the War of 1812 inspired America’s national anthem, ‘The Star-Spangled Banner’. Don’t miss out on the chance to explore this magnificent structure and take plenty of pictures. 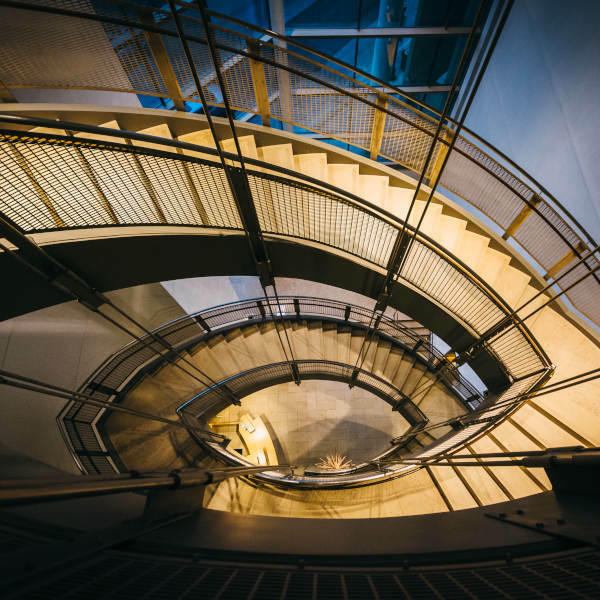 Baltimore is also home to a number of world-class museums, including the Walters Art Museum, the American Visionary Art Museum, as well as the Baltimore and Ohio Railroad Museum. Other great activities await in this American destination, including the opportunity to try your luck at casinos, take tours through famous distilleries, and explore the city’s vibrant neighbourhoods. Compare several airlines and book your cheap flights to Baltimore online at Travelstart. South African citizens will need to get a US travel visa to enter Baltimore and explore the rest of the United States. You can make your applications at the US Consulate Generals in Johannesburg (Tel: +27 11 290 3000), Cape Town (Tel: +27 21 702 7300), and Durban (Tel: +27 31 305 7600), as well as the US Embassy in Pretoria (Tel: + 27 12 431 4000). There are no vaccine requirements when it comes to visiting the United States. If you keep your explorations of Baltimore restricted to its tourist attractions, such as the opera house, museums, aquarium, etc. you will be perfectly safe. Baltimore does have a crime problem related to drugs and gang activity, but these are known to be of risk in areas that give tourists very little reason to visit. Take care in the areas north of the waterfront (downtown above Inner Harbor around Lexington Market, and around the big public housing projects just to the northeast of Little Italy), especially after dark. Should you be using a car, make sure you leave nothing inside when parking, even if it’s trash, to lower the chances of smash and grabs. You may encounter drug addicts and the homeless who ask for money. They will usually leave once you give them something or not. If someone follows you, though, just keep walking. In most cases, such persons give up after a few seconds. In general, take the usual precautions. Take note of where you’re going and how you’re going there. When out at night, try to walk in a group and on well-lit streets. Avoid carrying large amount of money. If you’re having doubts about walking at night, call a cab.